solarjetpro :: a digital +creative agency | Goodbye, Todaro Bros.
All good things must come to an end. 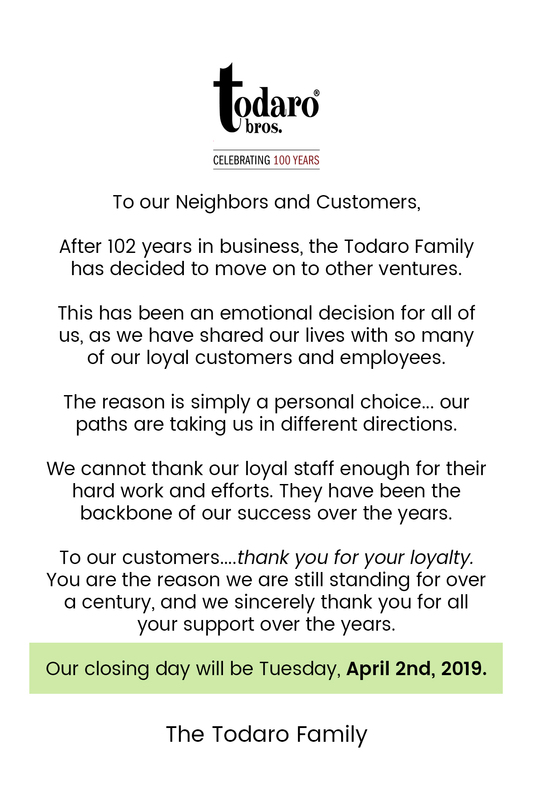 After 102 years in the NYC Specialty Food business, Todaro Bros. is closing up shop. The decision was an emotional and personal one for them, simply, their paths were taking them in different directions. We thank them for their loyalty and support over the last ten years; from Ecommerce, to social media, to photography, to printed catering menus, they’ve been a reliable partner, one that we and NYC will greatly miss.